Do you find it difficult to get on with a simple circle? Do your straight lines keep bending and it seems unable for you to draw lines no matter how hard you try? We have picked 25 best drawing projects for beginners to try out. Out selection of drawing assignments include almost everything from drawing simple people to drawing old people and realistic people. 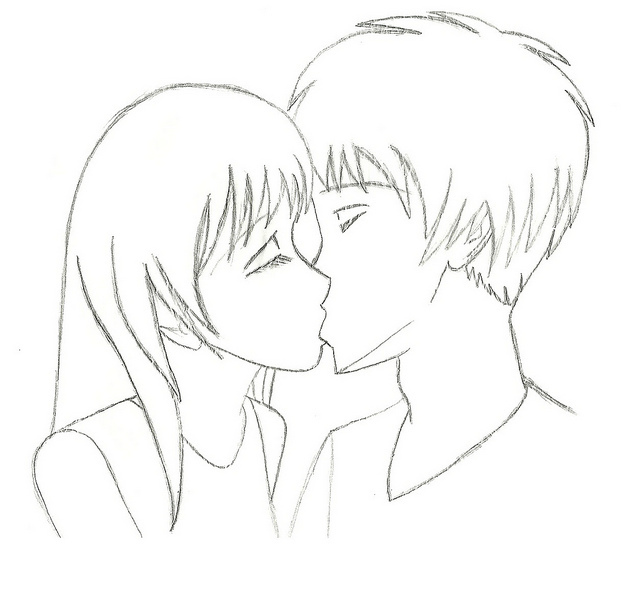 The assignments also cover the technique of drawing people kissing each other and holding hands. 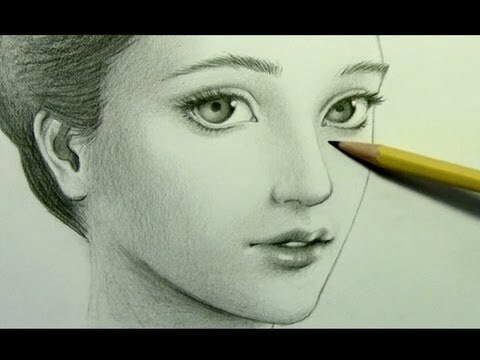 Drawing with a pencil is one of the easiest and the most accessible methods of creating skillful and effective artwork. There are many problems that the beginners can come across when starting with their drawing initiatives. These problems arise because of the lack of some basic drawing skills that generally get ignored when learning the right method of drawing different things. Drawing requires minimum materials and even the beginners can have a strong grasp of drawing by going through the drawing assignments that we have covered below. It is important for you to make sure what are the tools that you are using for your drawing assignment and the fact that you are in possession of the right tools. If you are really bent on starting with your drawing assignments, you must check out the 25 drawing assignments detailed below prior to starting with yours. Drawing people might sound a little difficult but it is really a very simple procedure if it is taken up in a systematic manner. 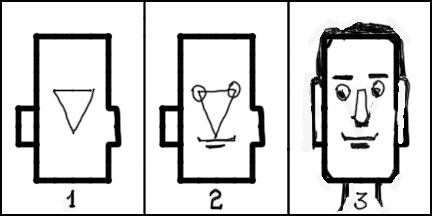 There are many essential instructions which should be followed to draw human figures by making the effective use of different techniques. It might seem quite basic but there are professional illustrators that find it difficult to come up with the best people drawings. For steps on drawing people click here. There can be absolutely no doubt in the fact that people are the most difficult subjects to draw in a realistic manner. It is important for you to make sure that you draw realistic people lightly so it appears more like a sketch instead of the final assignment. Erase the sketches once you are done with them. This will be easier for you because the lines get lighter. Draw realistic people with these drawing instructions. People are composed of a head with shoulders, neck, abdomen, arms and legs. You will have to put all these important parts of a human figure together step by step. Having patience and following the right procedure will help you in coming up with the best drawing. Here’s how to draw people step by step. This is probably a tough drawing assignment. First of all, you will have to outline the sketches and then go along drawing the entire figure. Remember that there are two figures that you need to draw and therefore you must have the right understanding of the drawing. Having precise knowledge about the outline and the posture that the people in the drawing need to have, will help you in coming up with the best sketch ever. For more information on steps click here. Are you eager on knowing how to draw people for kids? You will find it very useful to have techniques and methods to follow when drawing people for kids. 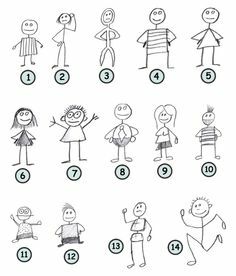 With the application of some simple rules, you can easily create amazing drawings of people for the kids. Kids who are new into learning the art of drawing people should be encouraged to start on with the procedure themselves. This will probably help them in acquiring the best drawing skills. Make your very own drawing with these simple steps that need to be followed. There are many people who have a clear understanding of drawing different things. However, the real challenge for most people is drawing people faces. 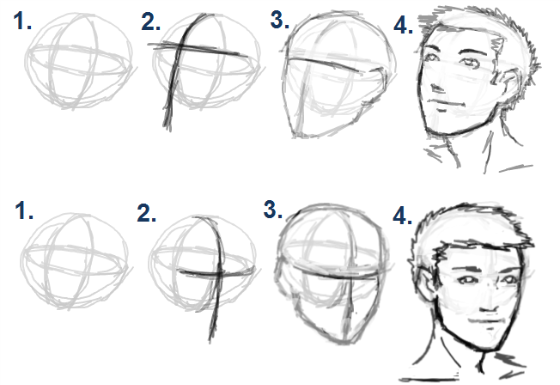 By following some simple but effective steps you can become an expert in drawing people faces. Proper technique and right procedure will always help you do so. Learn the steps here. There is one important tip that needs to be followed prior to getting started with drawing an anime couple kissing. First of all, you will have to draw two faces with one on top of the other while erasing the lines of the female’s top lip and nose. The step should be enlarged in details. For further information click here. The steps on drawing people holding hands can always help you and you can find them here. If you have struggled with drawing people hugging each other, it is quite understandable. 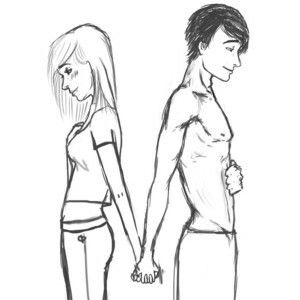 It is sometimes very difficult to get the drawing of the two people in the right position. It becomes necessary to ensure that the figures complement each other in a positive manner for the entire image. Here’s how to draw people hugging. Are you fond of drawing cute people? Cute people are real fun to draw and at times they can even be very simple provided you follow the right technique. There are some simple instructions that you need to follow when drawing cute people. For full and complete instructions, click here. 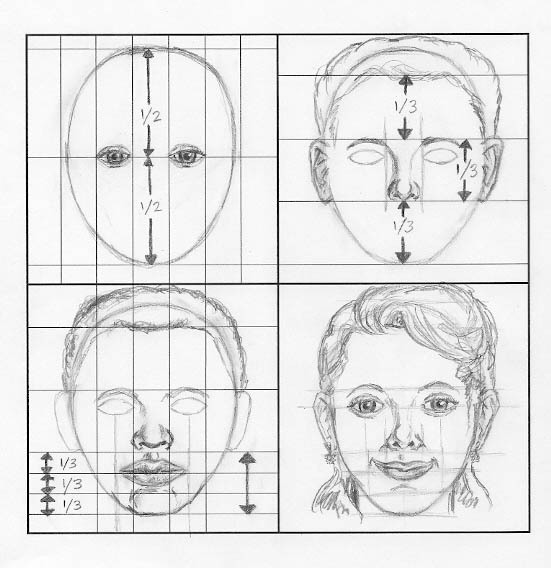 You can easily learn the right method of drawing easy people by making use of grids for measuring and mapping the human forms in life drawings. 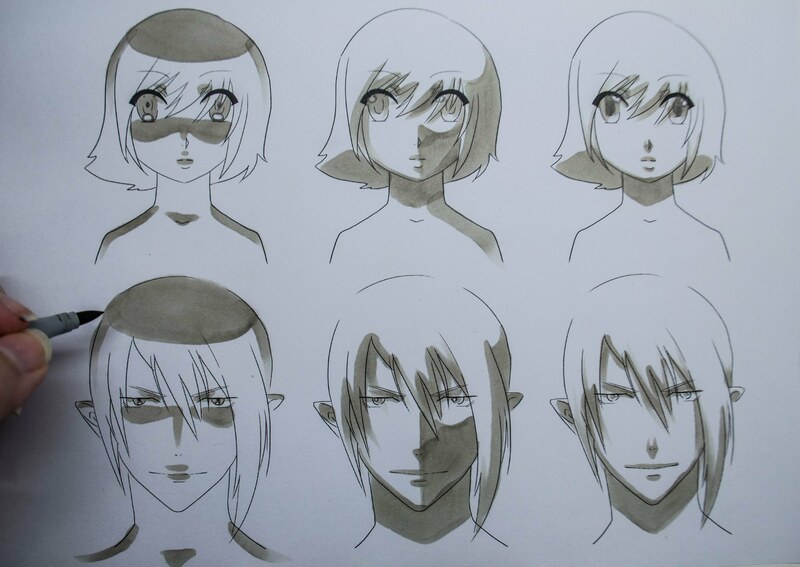 By using this method, it will be less daunting to draw people and the human forms will come out accurate. For the full drawing instructions, click here. 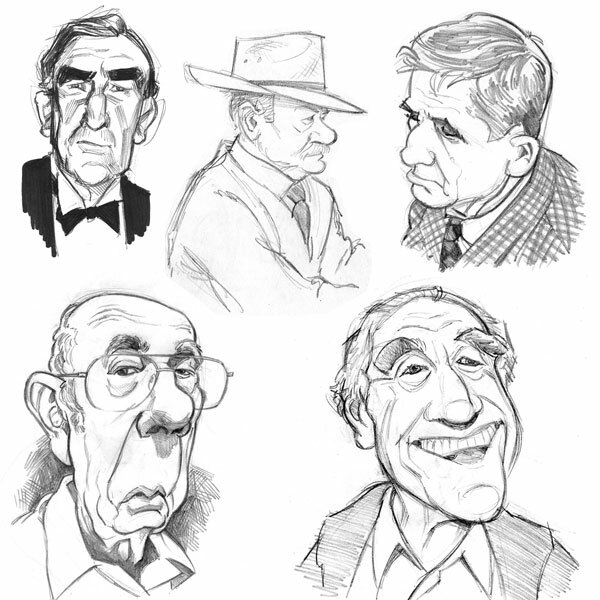 Drawing the portraits of famous people can be one of the most difficult subjects in the drawing category. There are many different techniques and features that can effectively be used for creating the perfect and most realistic portrait. Tutorials of drawing the portraits of celebrities and famous people can always be of good help. Check out the drawing instructions here. There are many people who get scared when it comes to drawing people because the human face is something that cannot be drawn very easily. However, sometimes, even if people feel that they can easily draw, they cannot manage drawing real people. 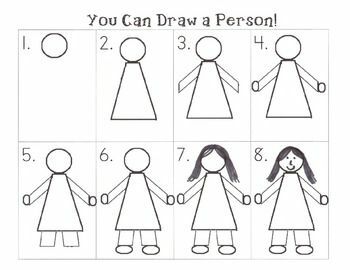 For full instructions on drawing real people, click here. Learning the right procedure of drawing people easy might actually be easier than you might have ever thought. This goes especially true when it comes to drawing people with simple faces. Drawing people easy might not be very difficult but drawing them to come out realistic is a bit challenging. There are some basic techniques for you to follow and for further information; you can feel free to click here. Artists with different skill levels love drawing people which is generally considered a challenging subject for the beginners. Instructional introduction to drawing people helps in demystifying the entire procedure showing people the method of using simple shapes for drawing people. By using the basic skills and techniques of drawing you can easily draw people. Drawing naked people is one of the many different things that you will generally learn when starting as an artist. Drawing nudes is a practice where you will acquire the sense of human anatomy. However, this does not mean that you need to keep on drawing nudes for having a sense of this anatomy. For the latest instructions on drawing naked people, click here. There are some very basic techniques that need to be followed in drawing simple people. The techniques can be used for increasing ones drawing skills as well as proportion accuracy. This goes special when drawing human faces and features. However, it is to be noted that there is no use going for inscrutable that do not replace skill and practice. For complete instructions, check out this site. Many designers are architects are completely terrified when it comes to drawing people. This is because the architects and the designers are of the view that if the people are not illustrated perfectly, they should not be there in the drawing at all. To make your very own drawing of people, click here. There are different methods that can be followed in drawing realistic people. But it cannot be said for sure whether the methods are the fastest and the best ways of making human forms or realistic people for the beginners. Realistic drawings of people can only be made by having proper knowledge of the drawing skills needed for this proposition. For more, check out the full instructions here. There are times when you would have this urge of illustrating a page or come up with a story without making use of many words. There are many people who do not know how to make stick figures while it is important to note that drawing stick figures is the easiest subject in drawing. 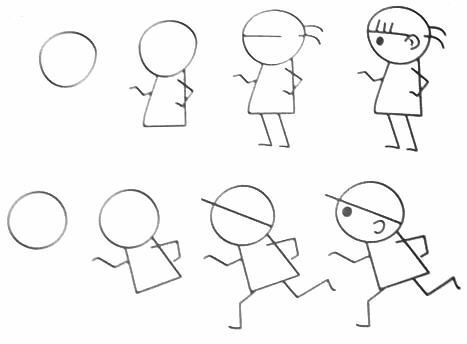 For full instruction on drawing stick figures, you can click here. Learning how to draw people is something that we normally do at a very early stage in learning drawing either at home or in school. Drawing people is the most basic level drawing which involves drawing a head and then joining lines representing the limbs and the trunk of a person. For detailed information on drawing people, click here. Drawing old people is something that many artists do not like to do because it involves a lot of hard work. It involves showing the progression of age which would be depicted in the hands and the face of the human figure. Considering the other parts of the human body is also important when trying to draw old people. You can get complete instructions on drawing old people here. There are many people who try avoiding crowds in their real lives but learning the right procedure of how to draw a crowd of people can be of good help in creating an engaging and dynamic urban scene without getting confused in this procedure. Get step by step instructions on drawing a crowd of people here. 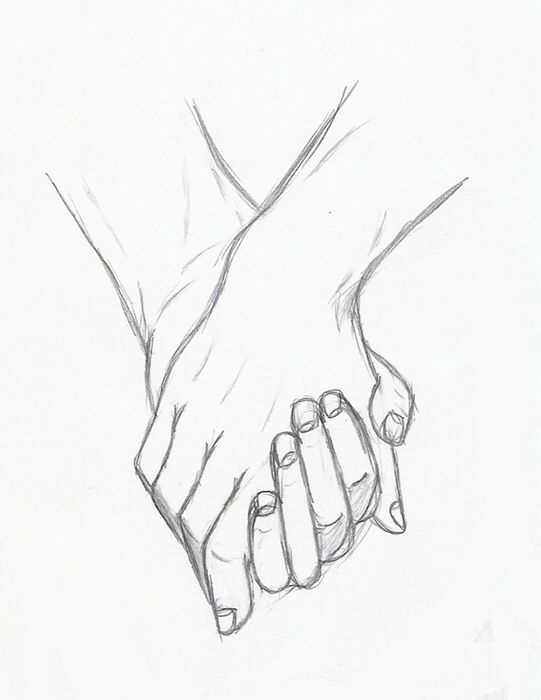 It is not a secret that learning the right procedure of drawing people is important but it is equally important to learn how to draw two people holding hands. It is something that requires putting in the basic skills of drawing along with some creative skills. Simple instructions on drawing two people holding hands can be availed here. For the beginners into drawing, it can be difficult to draw people but by using the right techniques, this can always turn out to be an easy procedure. What the beginners need to do is go ahead and have their hands on some simple instructions that can help them in drawing people.